Lisa Allen ’90 (diagnostic medical sonography) will be presented with a Distinguished Alumni Award on Oct. 19 during Brick City Homecoming & Family Weekend. Education has always been an important part of Lisa Allen’s life, starting from a young age. Soon after graduating, Allen went on to work at SUNY Upstate Medical Center, where she is currently the ultrasound coordinator and a clinical instructor in the Regional Perinatal Center. In her position, Allen works with high-risk obstetrics patients from 13 counties throughout central New York. In addition to the hands-on training she provides, Allen has also published more than a dozen articles in peer-reviewed ultrasound journals and authored two chapters in textbooks. 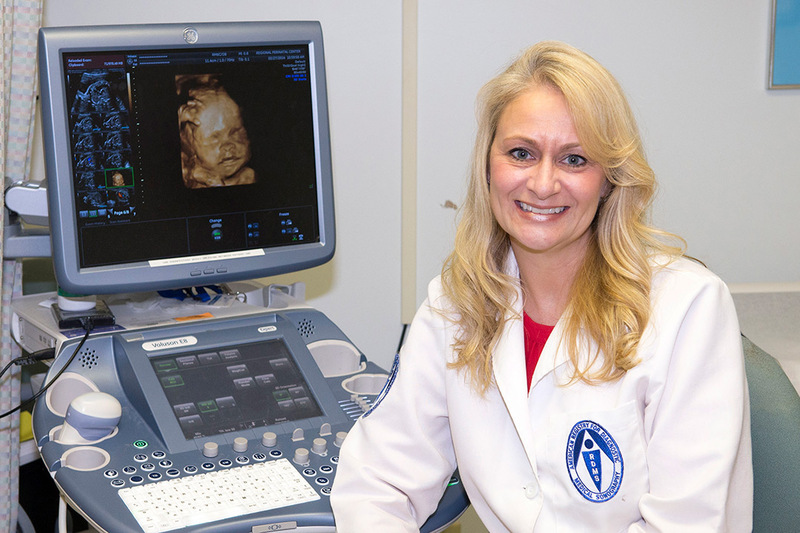 Allen’s dedication to the advancement of diagnostic sonography, and her patients, has earned her multiple awards and recognition, including SUNY Upstate Medical’s Employee of the Year in 2011 and the Distinguished Sonographer of the Year by the American Institute of Ultrasound Medicine in 2015. Allen will also be honored on Oct. 19 at the Presidents’ Alumni Ball as the 2018 Distinguished Alumna from the College of Health Sciences and Technology. And although she is already an accomplished sonographer, with almost 30 years of experience, Allen has no plans on stopping her own education.